Ensueño color - Edoras P.R.E. 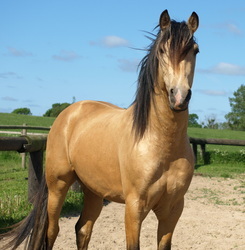 Ensueños coat colour is golden buckskin (es: bayo dorado). 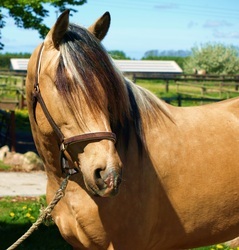 His genotype is gg AA Ee CCr which means his basic colour is bay (AA) and he carries the gene for chestnut (Ee). 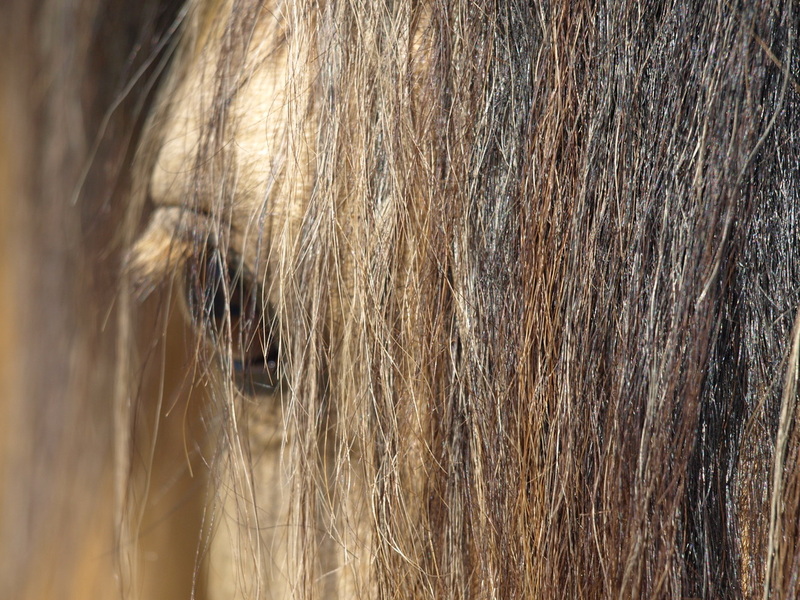 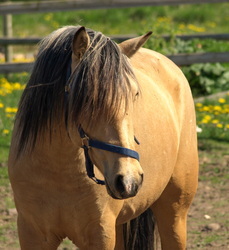 Ensueño has bicolored mane and tail. 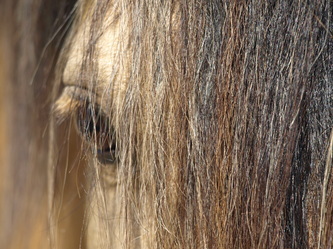 He is heterozygot for the creme gene (CCr) and therefore diluted to buckskin. 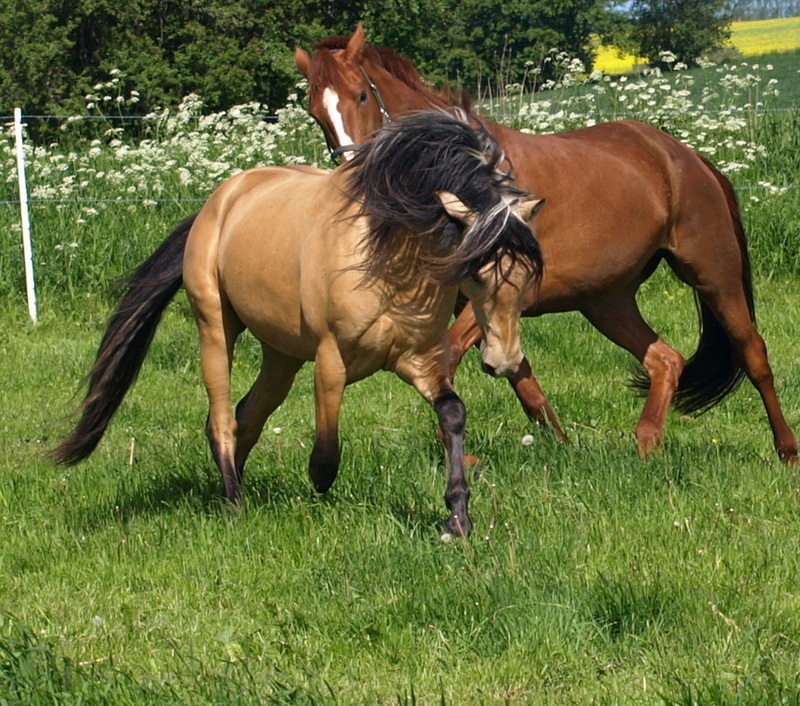 He do NOT carry the grey gene (gg). 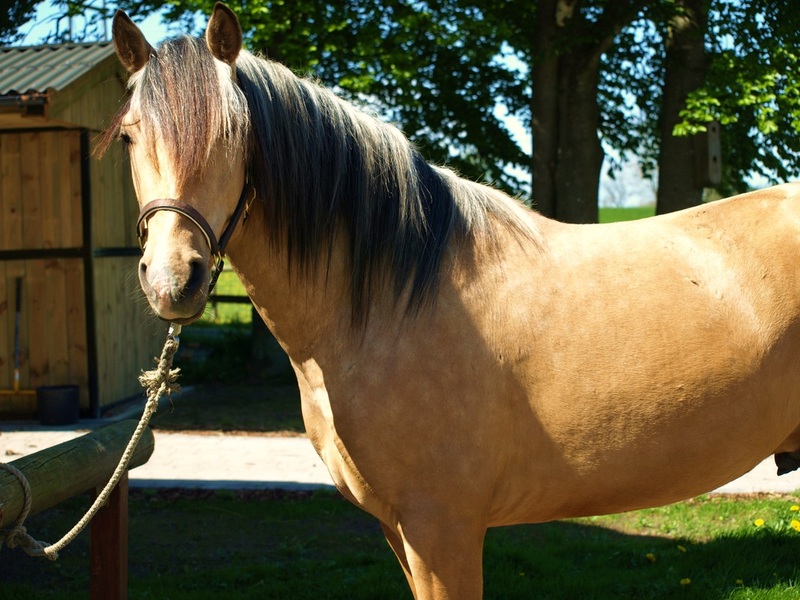 He can give his offspring following coat colours: Buckskin, palomino, bay and chestnut, and of course double diluted colors if the mare carries dilution genes as well.